This was in the particular context of bitcoin price forecasting, which I am notoriously good at. See here and here for example. 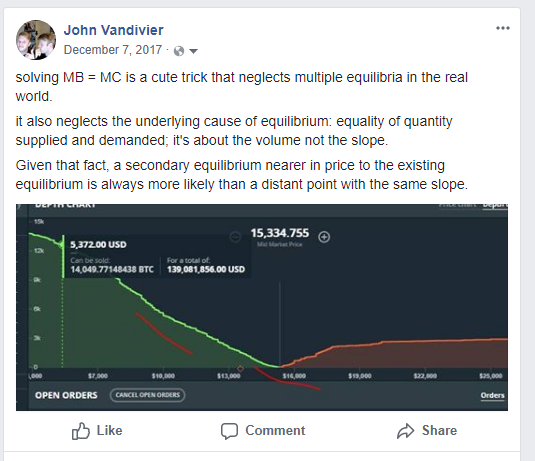 I stated that MB = MC neglects that the real world has multiple equilibria, and these multiple equilibria are not co-equal. A secondary equilibrium nearer in price to the present equilibrium is always more likely than a price-distant alternative equilibrium with the same slope.